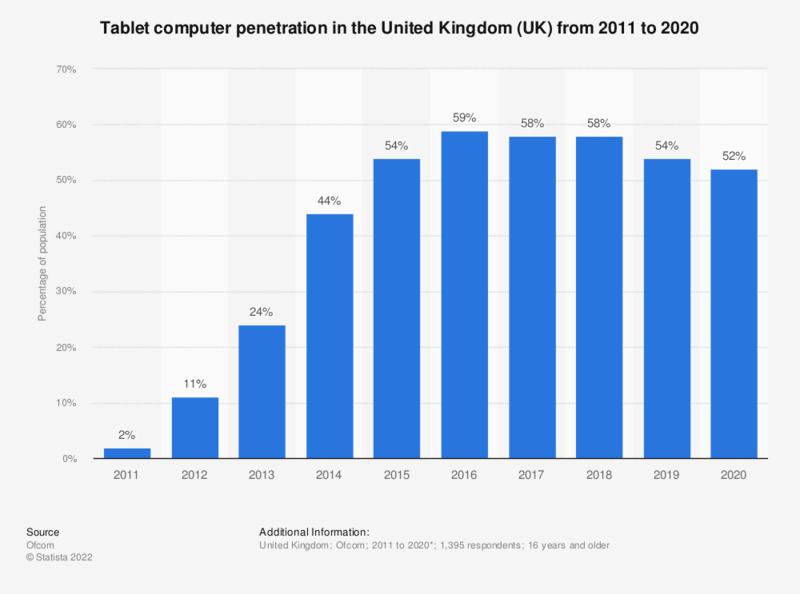 This statistic shows rates of tablet computer ownership in households in the United Kingdom (UK) from 2011 to 2018. Ownership rates rose rapidly following the release of the iPad on 3 April 2010, and have remained consistently just under 60 percent since 2016. Data prior to 2018 obtained from earlier editions of this report. * Data for 2011 and 2013 was correct as of the 1st quarter of each year. All other years data were correct as of the 1st half of each year.